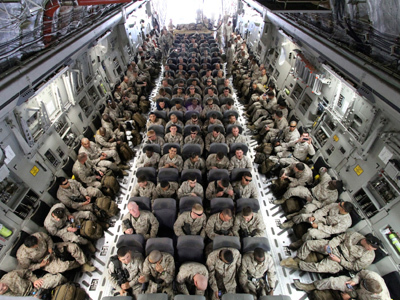 The long-waited withdrawal of US troops from Afghanistan may be not as “full” as had been expected. The US will help defend the country militarily for at least a decade after Afghans take control of their security, a National Security Adviser said. The pledge is contained in the new strategic pact agreed between the two countries on Sunday, Rangin Dadfar Spanta said on Monday. A section of this pact implies that the US will not to use Afghanistan as a launch pad for attacks on other countries in the region, including for drone strikes. However he stressed that the US will only come to Afghanistan's aid with approval from Kabul. Washington may use “diplomatic means, political means, economic means and even military means,” the official said, as cited by AP. Also under the agreement, after 2014 the US will continue supporting Afghan security forces financially. The US will fork out up to $4 billion annually, if the funding is approved by the Congress. However it remains unclear whether Afghanistan would approve such military assistance from the US. The two countries are facing a serious setback in their relations after a number of incidents involving the US troops deployed in Afghanistan. In the wake of the Kandahar massacre, when a US soldier shot dead 17 Afghan civilians in a nighttime killing spree, US President Barack Obama pledged to get his troops out of Afghanistan in a “responsible way,” in order to make sure there will be no need to get back in. The US has long promised to withdraw its troops by 2014 and hand over control to the Afghan authorities. In February, the US Department of Defense even stated that they were planning to complete withdrawal of the combat troops from Afghanistan by the end of 2013. The remaining troops were planned to be transited from a “combat role to a training, advise-and-assist role,” Defense Secretary Leon Panetta said. ­It is not the first time the US has clung tenaciously to the territories its troops set foot into. After the invasion in Iraq in to 2003, it took the US almost nine years, and several postponed deadlines, finally to move all its troops out of the country. 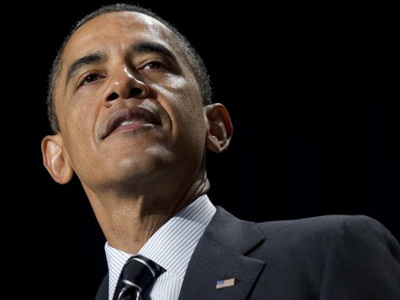 Between the partial withdrawal in 2010 and the full withdrawal in December 2011, over 50,000 US servicemen, referred to as a "transitional force," were "training, equipping and advising Iraqi Security Forces.” President Barack Obama had discussed with Iraqi officials the possibility of extending the stay of “transitional” troops in Iraq, but they virtually kicked the US troops out of the country. Although the army troops were withdrawn, several thousand contractors have reportedly taken over their peacekeeping mission. Besides that, the US is still operating its controversial fleet of drones over Iraq’s territory and, according to the State Department, the military is not planning to scrap its drone surveillance program for at least another five years.